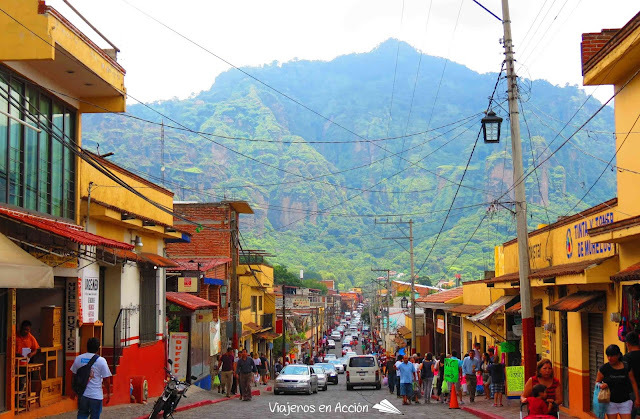 We were enjoying a get away to see our friends in Mexico City for a week, and enjoyed a "Mexican village" feel for a weekend in Tepoztlan, which is a few hours drive from Mexico City. When we left the big metropolis, small country towns gave our drive another perspective. It reminded me of county towns in Thailand, especially the small "mom and pop" style restaurant which we stopped off to have breakfast at. 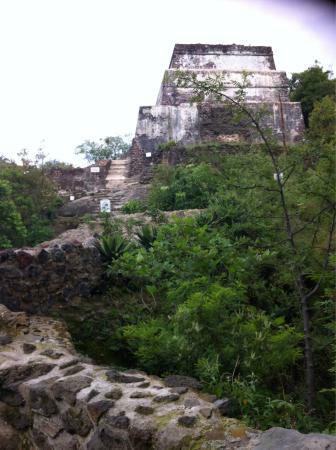 Tepoztlan is a town which has visitors from Mexico City coming for quick visits, as we were doing. go to a tea house which is decorated in a way which is interpreted how a "chaikhane" in Central Asia or some place in the Middle East is like, and a historical landmark on top of a mountain, which people climb up to and enjoy. We stayed at a locally run boutique guest house for the nights, which had a garden where we shared a bottle of wine, conversation, and even shared some marijuana together! We drove a bit further, and visited a local spa for gay males, called Tepozspa. 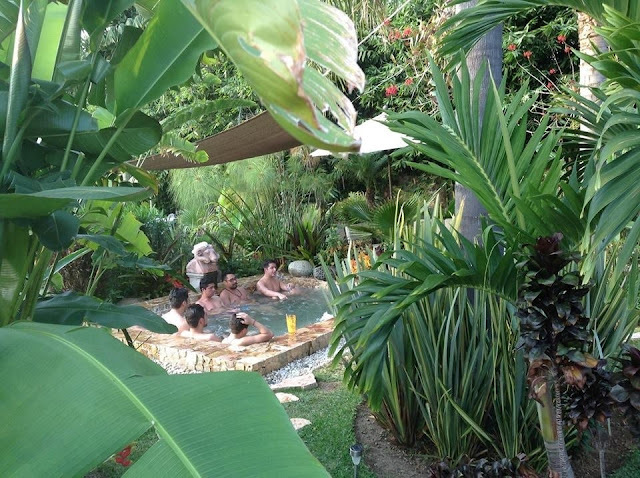 The place has nice gardens, an out door and indoor hot tub, a central pool area and a bar for drinks where one could congregate with other guys and friends. Inside the building a steam sauna and dry sauna, and the ubiquitous dark room, and private rooms for those who have the urge to know their new found friend/s more intimately. When I submersed myself in the hot tub, I felt like I just wanted to stay in there the whole time we were at the spa. It was a perfect weekend get away to have quality time with our Mexico City friends, and a great way to relax and unwind from the day to day events. All in all, the town is fun to experience as a getaway, but from my opinion, it is a one time visit, as there are many other places to experience and explore around Mexico.